After three movies in their cinematic universe, DC have finally got a firm step in the right direction with Wonder Woman. Prior to Wonder Woman, I felt that DC movie had a vision of what they wanted, they just did a bad job executing it. Now, with Wonder Woman it looks like they have realized that vision. I got what they were going after but now I am starting to like it. Set in the time of the First World War, Gal Gadot plays Wonder Woman- Known as Diana and raised on a secluded island of female Amazons- who sees a pilot (Chris Pine) who crashed his plane next to the island, fleeing from German forces. After the pilot tells his story of escape, Wonder Woman believes that Aries, the God of War, is the instigator of the war and seeks out to defeat him. The island Wonder Woman inhabits during the first act. Well shot, looks luscious. Yes, it took me awhile for me to program the fact that an ancient God instigated a war, but in the mind of Wonder Women, that’s her belief as she was a sheltered child who knows nothing about the outside world. This film is aware of her naiveté but I’m glad the movie never makes her look dumb and stupid. Chris Pine, does a great job of reacting to her flaws, generating both light-hearted humor and drama without being too condescending to her. He does a great job here is an underrated actor. Wonder Woman has taken all the good of previous DC movies and pushed away a lot of the bad from DC movies. It has the darkness of Batman vs Superman minus the murkiness. Wonder Woman incorporates mild doses of humor to compliment the dark tone of the material whereas Suicide Squad did it so erratically. 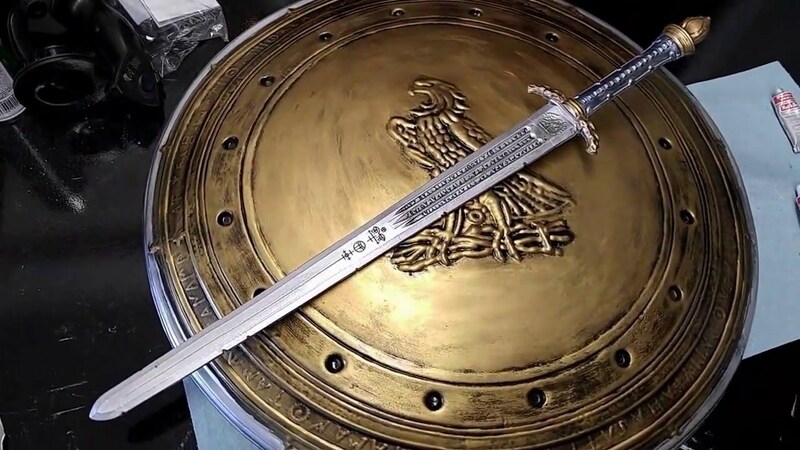 One of the minor problems in the movie is the sword. It a payoff that ultimately does not happen for its purpose. Adding from that, Wonder Woman has told a story which never feels confusing or lost in the making of the film. In the combination of both the balance in tone and creating a simple story that never feels confusing, DC have made a good film. Six months ago, that thought would have never entered my head. The Lego Batman Movie: Deadpool for Kids… Sort of. The Lego Batman Movie is a unique entry in the superhero genre, not only because it’s a Lego animation but also sees the story in a kid-friendly, light-hearted manner. It’s such departure from other DC movies of Batman in that it’s hard to make a comparison of this movie to other Batman films. Instead, I will be comparing The Lego Batman Movie to Deadpool. Both The Lego Batman Movie and Deadpool are inherently well written as the characters are witty, both movies wink at the audience with the breaking of the fourth wall and all the inside jokes and finally, both aim to give the audience a feeling of joy and fun while the superheros do their superhero stuff. The plot: Batman is the poster boy for saving Gotham that all the children love him and sing his praises. Batman (Will Arnett) just laps it up and is arrogent (He brags to have a 9-pack. Yes, a 9-pack) . What we find out early on is the reason Batman is self-centered is because he is afraid of committing to a quiet, family life. Batman is on the mission to save Gotham once again from The Joker (Zack Galifianakis), only he cannot save Gotham on his own this time. He inadvertedly adopts a child (Michael Cera) who turns out to become Robin and they both try to save Gotham. 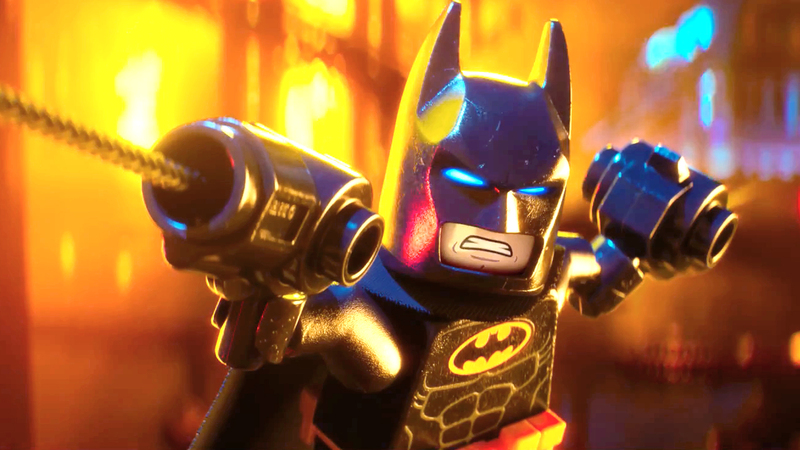 The bottom line is that The Lego Batman Movie succeeds in what it attempts to achieve. That is because it is so committed to a tone that aims to be lively, child-like and fun that it’s hard to not buy what The Lego Batman Movie is trying to sell. I was buying it for the majority of the movie. Like Deadpool, The Lego Batman Movie does this through fourth wall breaking, witty and funny characters and an arrogant, ego-driven yet charming main character. The Lego Batman Movie succeeds to a lesser extent than Deadpool due to the inability for the movie to control the barrage of jokes and the narrative pacing. 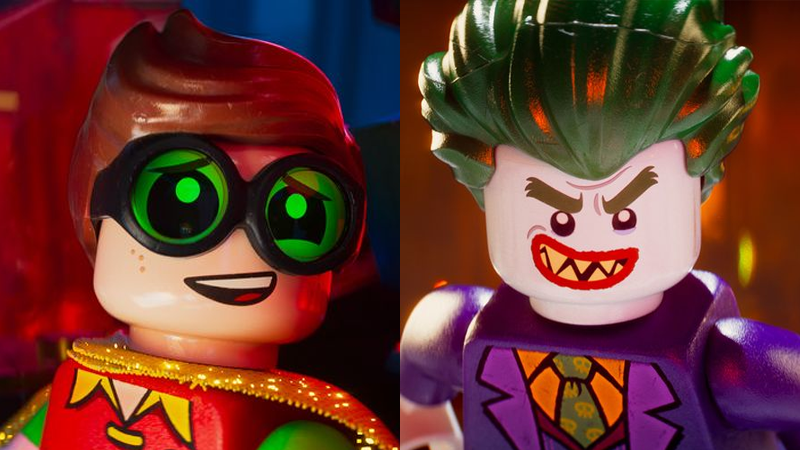 The main problem with The Lego Batman movie is it either scattershot with jokes that move so fast that you couldn’t keep up or the momentum of the movie would slow down to a near halt. The scriptwriters also decided that Batman should break the fourth wall five times per minute, which I grew tired of by the end as I was constantly reminded that I was watching a movie and therefore made it hard to suspend my disbelief. Deadpool had the perfect balance of breaking the fourth wall by dropping the intensity of fourth wall breaking considerably after the first act. In The Lego Batman Movie, the filmmakers didn’t get that memo. The uneven narrative pacing and the overuse of jokes are the two main things The Lego Batman Movie could have improved upon and it did hurt my overall enjoyment of it. Aside from that, there is not much else that is bad that I can think of. The story between The Joker and Batman in this movie are unique, especially the character motivations of The Joker. It somehow manages to work even if it shouldn’t on pen and paper. As always, The Joker wants Batman to hate him as much as the Joker hates Batman, only they make their own twist. It’s a romanticized story in a oddly comedic way where destroying Gotham is like courting Batman to take part in a hate relationship. I loved the angle The Lego Batman Movie takes with that and It was my favourite part of the film.